Add every color to your fun look for your next big day of costume fun, or a Halloween costume party with the help of the Rainbow Adult Cape – Costume Accessory! 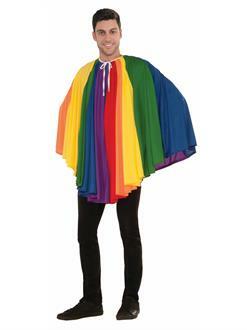 This poncho-like item is the perfect way to make your look perfect! This costume does not come with pants or shoes.